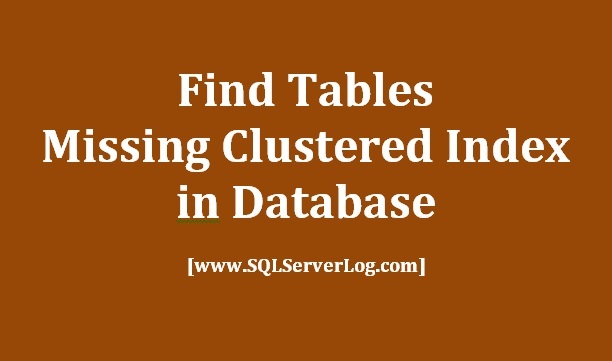 If your database contains hundreds or thousands of tables then it’s difficult to find which tables are missing clustered index in a database manually. You can go through this article which provides very simple query and analyses all the tables and provides you required result and you can check and tune your database accordingly. We will check total count of all user tables in a database with below query. To check total table count having CLUSTERED indexes, we can use below query. 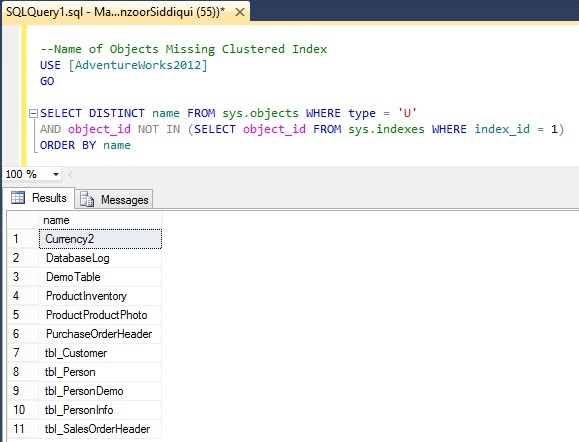 Now, to find all the objects missing CLUSTERED index, we will use query as given below. Once you get the output, now you can check the tables and columns to apply clustered indexes and tune it accordingly. Similarly, you can identify tables having HEAP indexes and NONCLUSTERED indexes as well. This is a very nice and usefull concept.. Please keep on post further on this.